Meryl Streep is one of the most talented actors of the modern era. She has played the most real-life characters in the history of cinema. 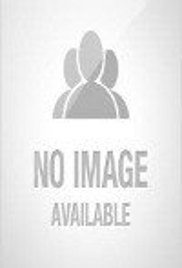 Check this biography to get details about her life, profile & timeline. Born in: Summit, New Jersey, U.S.
father: Harry William Streep Jr.
An iconic figure in the Hollywood film industry, Meryl Streep requires no introduction of sorts. The most classic example of beauty with talent, Streep is by far the most prolific and greatest living film actress. 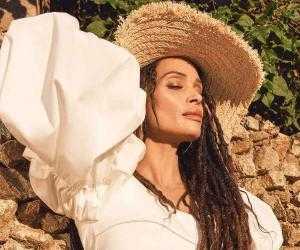 Ever since her debut in the 1970s, she has been ruling the stage and big screen alike with her tremendous performance and top-class acting capability. Her ability to bring to life the characters and the panache with which she deals with each of them is commendable. Streep’s outstanding ability is profoundly visible from the fact that she has 17 nominations at Academy Awards (winning three) and 27 nominations at Golden Globe Awards (winning eight), which is the highest ever recorded nominations by an actor in the history of both the awards. Over her five decades long career, Streep has played a wide variety of roles, which has earned her the title of a ‘chameleon’, much unlike other actors who have preferred a singular identity in their films. What is interesting to note is that Streep has managed to play each of the roles convincingly and with perfection; her meticulous and painstaking preparation, zealous nature and attention to minute detailing aiding in the effort! More than fifty films old and still going strong, Streep has garnered commercial and critical success all through her career. Meryl Streep was born to Mary Wolf and Harry William Streep, Jr. While her mother was a commercial artist and an art editor by profession, her father was a pharmaceutical executive. Streep has two siblings, Dana David and Harry William III. Born in Summit, raised in Presbyterian and brought up in Bernardsville, New Jersey, young Streep completed her formal education from Bernards High School. Thereafter, she enrolled at the Vassar College from where she obtained a B.A. in Drama. Meanwhile, Streep also enrolled as an exchange student at Dartmouth College. She went on to receive her M.F.A. degree from Yale School of Drama. It was during her years at Yale that Streep made her debut at the stage, acting in a number of plays. Interestingly, Streep did not play the typical roles then as well and resorted to versatility in the characters she portrayed. Streep’s initial years were spent performing for several theatre productions in New York and New Jersey. She worked for several productions including the New York Shakespeare Festival productions of Henry V, The Taming of the Shrew, and Measure for Measure. Additionally, she was even featured in the Broadway musical ‘Happy End’. Streep was next seen in the 1976 Broadway double bill of Tennessee Williams' ‘27 Wagons Full of Cotton’, Arthur Miller's ‘A Memory of Two Mondays’ and Anton Chekhov's ‘The Cherry Orchard’. 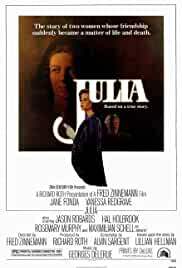 Year 1977 saw Streep walk up to the big screen for a small yet significant role for the film, ‘Julia’. Same year, she was seen in the television miniseries ‘Holocaust’ as a German woman married to a Jewish artist in Nazi era Germany. Streep’s performance at the Holocaust brought her to the limelight. 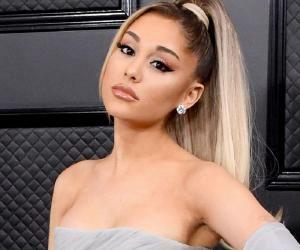 She gained immense fame and recognition and came under public eye. The performance even secured her the Primetime Emmy Award for Outstanding Lead Actress – Miniseries or a Movie. ‘Deer Hunter’ released in 1978 witnessed Streep playing yet another small role. However, the movie was a super hit and earned Streep her first ever Academy Award nomination. Streep’s flair for acting and her embedded talent which she carried in front of the camera was variably seen in the year 1979, which witnessed the release of three movies, each tangent apart from the other, wherein Streep played the role of a supporting actress. 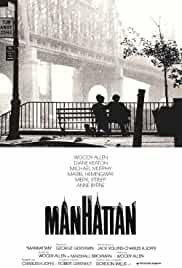 While, ‘Manhattan’ was a romantic comedy, ‘The Seduction of Joe Tynan’ was a political drama and ‘Kramer vs. Kramer’ the family drama. Years of playing the second fiddle with perfection laid way for lead roles for Streep, who took yet another jump in her professional career graph with the movie ‘The French Lieutenant's Woman’, wherein she was cast opposite Jeremy Irons. Her performance was immensely applauded and so was her versatility and the willingness to move out of the comfort zone. 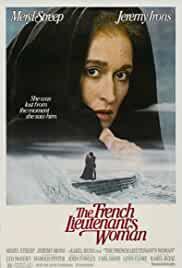 Streep’s next venture was a psychological thriller, ‘Still of the Night’ in 1982. The movie was widely appreciated by both public and critics’. Same year, she featured in the movie ‘Sophie's Choice’. Her excellence at acting and mastery of a Polish accent was visibly apparent and drew much praise and applause. Streep even garnered a long list of awards for her role in the movie. 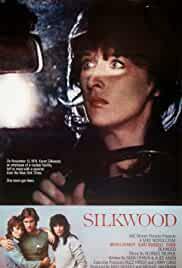 Streep repeated the success story with the biographical film, ‘Silkwood’ released in 1983. This was her first of the many more real-life characters that Streep has portrayed over the years. Towards the end of the decade, Streep played different roles for various movies including, ‘Falling in Love’, ‘Plenty’, ‘Out of Africa’, ‘Heartburn’ and ‘Ironweed’. However, the most interesting was her biographical role of Lindy Chamberlain for the movie, ‘A Cry in the Dark’. The film received rave reviews and attained both box office and critical success. 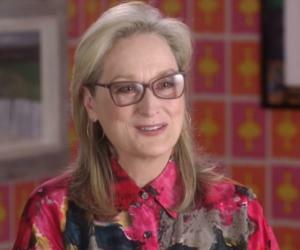 Streep’s flamboyant rise in her career met with a sudden halt in the 1990s. Arguably, there were two reasons for the downturn, first – from serious and successful roles Streep had turned to lighter and commercially unsuccessful ones and second was her progressive age which invited fewer directors and left even lesser choices. ‘Postcards from the Edge’, ‘Defending Your Life’, ‘Age 7 in America’ and ‘Death Becomes Her’ were some of the movies released during this time. 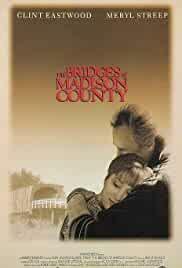 However, the phase of downfall did not last long for Streep as the tables soon turned and she featured in the successful box office blockbuster ‘The Bridges of Madison County’ opposite Clint Eastwood. 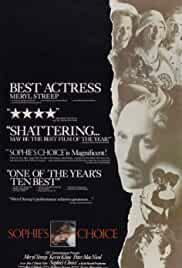 The film did exceptionally well much to the surprise of all and brought back Streep to the limelight. 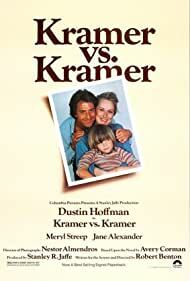 Couple of other films released during this time were Marvin’s ‘Room’ and Wes Craven’s ‘Music of the Heart’. Though the movies weren’t much successful, they nevertheless did their bit to revive the career of Meryl Streep. The new millennium brought with it new hopes and freshness for Meryl Streep. Her career which had revived considerably was ready to take yet another leap of success. In 2000, Streep featured in Steven Spielberg's ‘A.I. Artificial Intelligence’. Though the film did not attain much critical acclaim, it was a box office success, gaining a whopping $235 million. Year 2002 witnessed Streep’s return to stage for the play, Anton Chekhov's ‘The Seagull’, directed by Mike Nichols. What’s more, the prolific career of Streep escalated to reach the new levels of success as she was seen in the movies, ‘Adaptation’ and ‘The Hours’. Both the films were very well received and were lauded by critics and viewers alike. Next, Streep was seen in the Farrelly brothers’ comedy ‘Stuck on You’. The film gained much appreciation and so did Streep for her outstanding performance. She even received a couple of awards for the same. Year 2004 witnessed the release of two of Streep’s films, ‘The Manchurian Candidate’ and ‘A Series of Unfortunate Events’. She even did the narration for the film, ‘Monet's Palate’. Following year, Streep’s one of the most successful commercial films, ‘The Devil Wears Prada’ was released. The film grossed more than US$326.5 million worldwide. In the movie, she was seen donning the role of a fashion magazine editor. Her portrayal of character brought her much critical and popular acclaim and earned her many award nominations. With a box office collection standing at US$602.6 million, ‘Mamma Mia!’ is, without a doubt, Streep’s most successful film till date. A film adaptation of the musical of the same name, ‘Mamma Mia!’ catapulted the success story of Streep by miles and became an out-an-out winner in her long list of filmography. ‘The Iron Lady’, released in 2011, was Streep’s first movie of the new decade. In the film, she played the biographical role of Margaret Thatcher. The movie highlighted the role of the Prime Minister during the Falklands War and her years in retirement. Though the film earned mixed reviews, Streep’s performance was highly lauded and earned her numerous prestigious awards. ‘Hope Springs’ was the only movie starring Meryl Streep which was released in 2012. The film had her give yet another mesmerizing performance and pick up several nominations for her role. Undoubtedly, ‘The Deer Hunter’ was the stepping stone for the prolific career of Meryl Streep. Made at the budget of US$15 million, the film went on to gross US$50 million. 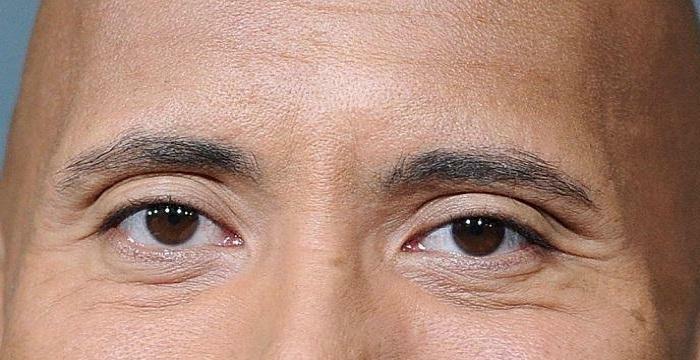 What’s more, it won five Academy Awards and several nominations in addition to being named by the American Film Institute as the 53rd Greatest Movie of All Times. Critically, movies that catapulted the career graph of Streep to unflinching and escalating heights were ‘Sophie's Choice’, ‘The French Lieutenant's Woman’, ‘Julie & Julia’ and ‘The Iron Lady’. While the movies gained much critical acclaim, Streep’s performance in each of them was well received and lauded by the public and the critics alike. 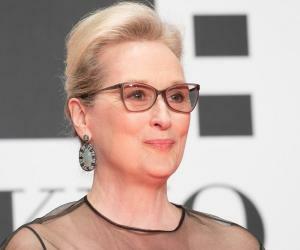 Streep has been nominated seventeen times at the Academy Awards, the most recorded by any actor, out of which she has won three times, once in the category of Best Supporting Actress and twice as Best Actress for the films, ‘Kramer vs. Kramer’, ‘Sophie's Choice’ and ‘The Iron Lady’. Streep has been nominated fourteen times at the BAFTA Awards in various categories. She won the same twice in the category, Best Actress in a Leading Role for the films, ‘The French Lieutenant's Woman’ and ‘The Iron Lady’. Streep gained a whopping 27 nominations at the Golden Globe awards, the highest recorded by any actor, in various categories. She eventually won the same eight times for the films, ‘Kramer vs. Kramer’, ‘The French Lieutenant's Woman’, ‘Sophie's Choice’, ‘Adaptation’, ‘Angels in America’, ‘The Devil Wears Prada’, ‘Julie & Julia’ and ‘The Iron Lady’. Streep was thrice nominated at the Primetime Emmy Awards, eventually winning twice for ‘Holocaust’ and ‘Angels in America’. Out of her ten nominations at the Satellite Awards, Streep won thrice for the works ‘Angels in America’, ‘The Devil Wears Prada’, and ‘Julie & Julia’. The Screen Actors Guild Awards had twelve nominations of Streep’s films out of which she won twice for ‘Angels in America’ and ‘The Devil Wears Prada’. Streep was inducted in the New Jersey Hall of Fame in 2008. This was not however the first time as she was earlier inducted in the Hollywood Hall of Fame in 1998. Year 2010 witnessed Streep being elected to the American Academy of Arts and Letters. She was even presented with the National Medal of Arts by President Barack Obama the same year. Meryl Streep was romantically involved with actor John Cazale for three years until the latter’s death in 1978. Same year, she walked up to the altar with sculptor Don Gummer on September 30. 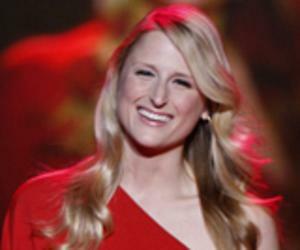 The couple has been blessed with four children, Henry Wolfe Gummer (1979), Mamie Gummer (1983), Grace Gummer (1986), and Louisa Jacobson Gummer (1991). While Mamie and Grace followed their mother and took up the profession of acting, Henry became a musician. Christened Mary Louise, she is the most talented American actress of the modern era, having worked at all the mediums including theatre, television, and film. She is the only actor to have played the most real-life characters, such as Julia Child, Ethel Rosenberg, Karen Silkwood, Karen Blixen, Roberta Guasppari, Lindy Chamberlain, Susan Orlean and Margaret Thatcher. She has the ability to master any accent and dialect. While she spoke in a Danish accent for ‘Out of Africa’, in ‘Plenty’, ‘The French Lieutenant's Woman’ and ‘The Iron Lady’, she was seen speaking in Standard English. Additionally, she spoke Minnesota accent in ‘A Prairie Home Companion’, Irish-American in ‘Ironweed’, Bronx accent in ‘Doubt’, Australian accent in ‘A Cry in the Dark’, Polish accent in ‘Sophie Choice’. She has the highest number of nominations in the Academy and Golden Globe awards, resting at 17 and 27 respectively. She is one of only four thespians (others being Laurence Olivier, Paul Newman and Katherine Hepburn) to be nominated for acting honors by the Academy of Motion Picture Arts & Sciences over five decades - 1970s, 1980s, 1990s, 2000s, 2010s.